When New Yorker writer David Owen moved his family from Manhattan to a small town in northwestern Connecticut in 1985, it seemed like a green decision. Their tree-shaded house had been built in the 1700s and sat across from a nature preserve. Deer, wild turkeys and even bears could be seen in their yard; woods surrounded their neighborhood. It was a bucolic country existence, something out of a nature poem. Yet for the global environment, the move was a minidisaster. The Owens' electricity consumption went up more than sevenfold, and the lack of both public transportation and dense housing that's typical of Connecticut (and much of the rest of the U.S.) meant the family had to buy several cars. And those cars got driven  a lot. Owen notes that he and his wife now put some 30,000 miles a year on their odometers, burning carbon with every gallon. Access to trees and wildlife and cleaner air in Connecticut was great, but for the climate, it's dense and efficient Manhattan  where cars are optional and living space is much tighter  that does less damage per capita. To Owen, the move was a lesson: what looks environmentally friendly isn't always the case. That's an idea he explores in his new book The Conundrum, which argues that energy efficiency, scientific innovation and even good green intentions are actually making our climate and environmental problems worse. While we rush to buy a Prius hybrid or fetishize local organic food, we're doing little to actually reduce the carbon emissions that are warming the planet  and we may even be going backward. "We're not actually making the problem better, we're making it worse," says Owen. 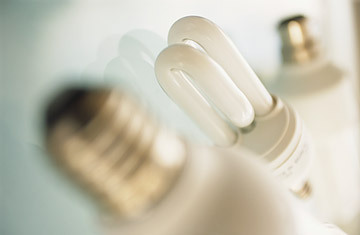 He centers his argument on energy efficiency, which simply means reducing waste and getting more economic output per unit of energy, and is one of the few environmental-policy options that nearly everyone can agree on. Democrat or Republican, climate scientist or climate skeptic, you'd be hard-pressed to find anyone who'd be against reducing wasted energy. That's why paeans to efficiency find their way into every energy stump speech, including those of President Obama, who noted in the State of the Union speech that "the easiest way to save money is to waste less energy." One of the White House's most heralded green accomplishments this term has been an increase in automobile fuel-efficiency standards, tightening them from 25 m.p.g. now to 54.5 m.p.g. for cars and light trucks by 2025. But Owen notes improved efficiency doesn't always translate to reduced energy use, thanks to something called the "rebound effect." It's pretty simple: as we become more efficient at using energy, we can save money  which then allows us to use more of that energy than we did before. Picture it this way: you trade in your gas-guzzling SUV for a new efficient hybrid, end up paying less per mile for gasoline, and use some of the savings to drive more than you did with the SUV. The efficiency has rebounded. It's not clear how big the rebound effect really is. Efficiency advocates say that the effect, when it exists, is limited. Amory Lovins, the head of the Rocky Mountain Institute and an efficiency evangelist, has written that "no matter how efficient your house or washing machine becomes, you won't heat your house to sauna temperatures, or rewash clean clothes." There's a limit to how much more I would drive after buying a hybrid even as my gas bill shrinks. But Owen argues that the rebound effect is much broader than a one-to-one relationship. I might drive a little bit more using the savings from my more efficient car, but I might also take the rest of those savings and spend it on something else  perhaps a vacation flight, or a new television. And nearly everything we buy and consume today requires energy, from appliances to holidays. Perhaps that's the reason American electricity production grew 66% between 1984 and 2005 even as the economy overall became much more efficient. And things are likely to be even worse in a rapidly growing nation like China, where a lot of people are acquiring consumer goods and other luxuries for the first time. "Energy efficiency by itself is not a sufficient green strategy," says Owen. Hopes that we might simply run out of fossil fuels before we've cooked the sky now seem unfounded, thanks to the discovery of new unconventional supplies like oil sands or shale natural gas. We can decarbonize the energy we use by replacing fossil fuels with solar, nuclear and other alternatives, but that will take decades at best, and we're moving far too slowly. So if we want to bring down carbon emissions, we have to use less energy  even very efficient energy  and that likely means we'd have to live with less growth. Good luck trying to explain that to voters, though. "There is a fundamental conflict between the idea of propagating growth and the idea of reducing carbon emissions," says Owen. "But if you're in a public-policy position, it's almost impossible to say that." That doesn't mean energy efficiency can't be a useful environmental tool  it can, provided it's coupled with policies that effectively increase the cost of energy, so savings from efficiency are conserved rather than being spent on additional consumption. We can also change policy to promote sustainable, dense urban living. (Hong Kongers are well-off, but they use only one-third as much energy as Americans largely because they live in one of the densest cities on the planet.) And we can focus on the environmental policies that really matter. Buying local food is fine, but what matters much more is how far you drove to get to the market  or whether you needed to drive at all. "What we need to do is make more big cities like Manhattan," says Owen. "But that's a tough sell." Indeed it is. Owen notes that he likes living in small-town Connecticut, even if it isn't great for the planet. And while everything from highway construction to zoning regulations seem designed to induce sprawl, I suspect many Americans simply don't want to live in New York City, just as they don't really care about climate change enough to accept more expensive energy or slower economic growth. "We already know what we need to do and we have for a long time," Owen writes. "We just don't like the answers." That's the conundrum  and the solution won't be easy. See photos of four major cities. See the 20 green tech ideas.